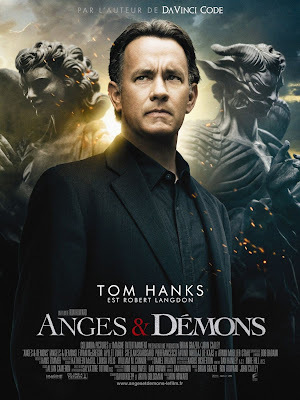 I was in Dublin yesterday for an Institute of Physics meeting so I took the opportunity to see Angels & Demons in the Savoy afterwards. Shock news: I found the film reasonably interesting and entertaining, in stark contrast with every review I have seen (see a scathing review inThe Irish Times here). What is with the critics? I am no fan of Hollywood, but as Hollywood blockbusters go, I found A&D well above average. Granted, the plot is a bit far-fetched, not to mention convoluted (you really need to have read the book to keep track of the story, from the history of the Illuminati to the frantic chase around Rome from cryptic symbol to cryptic symbol). However, the film is an improvement on the book as the storyline is tighter, with many unnecessary scenes removed. 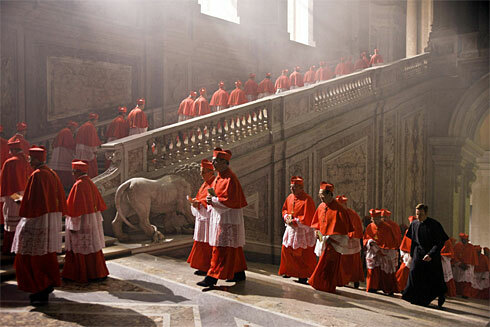 The cinematography is good – Ron Howard makes great use of the architecture of Vatican City and of the pomp and ceremony of Church traditions such as Conclave. The fabulous tradition of the Catholic Church in art, architecture and music is also portrayed quite well. There are some nice crowd scenes in St Peter’s square; my favourite was an incidental scene depicting a riot over the rights and wrongs of stem cell research! The key scene of a bomb-laden helicopter ascending into the heavens from St Peter’s was also quite effective. I can’t help wondering whether some critics missed the central point of the film. One problem with this sort of thriller is that the theme is often not revealed until the end. In this case, it only becomes becomes clear in the closing moments that the real topic of the story is the conflict within the Church between those who seek to reconcile religion with science (the elderly cardinals) and those who see science as an implacable enemy that must be overcome by any means (the young Camerlengo). An unusual theme for a blockbuster..
What about the science in the film? Again, it was better than I expected. The opening minutes are set in CERN, with a nice portrayal of an accelerator facility and a decent simulation of proton-proton collisions as the LHC is switched on. 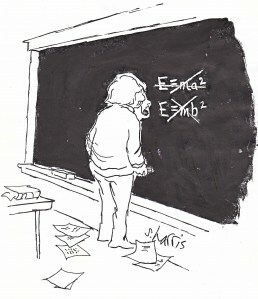 There is a reasonable explanation of Professor Vetra’s antimatter experiment and the routing of the proton beam to his lab is portrayed in realistic fashion. Yes, yes, the whole concept of an antimatter bomb is wrong-headed (see post below), but this is fiction, not fact. However, given the worldwide attempts to use A&D to promote science (see here), I feel bound to point out that the whole antimatter/CERN angle is rather tangential to the plot – that is incidental, as Hannibal Lecter would say. It happens that the bomb is supposedly made of antimatter, but that’s about the extent of the particle physics connection. (There is also the Camerlengo’s objection to the ‘blasphemous’ term God particle). Even the gorgeous young scientist Vetra doesn’t get much of a role. The real theme of the film is the battle between science and religion, now and in the past, a topic it handles quite well (see Camerlengo’s speech and eldest cardinal’s rebuttal).